Social Media is the buzzword of today’s marketing as it offers great advantages by serving a large audience at any geographic location. If you want to strengthen your brand, you need to build a strong social media presence for it. According to different researches, it has been identified that most of the people use social media many times in a single day and by knowing this, you can improve your brand’s visibility. Here are a few tips I am going to discuss that can make your brand winner at social media. So, here we go! There are numerous options and social media channels available for you to choose for your brand such as Facebook, Twitter, Instagram or etc. Choose those networks that support your brand positioning because not all platforms give you the positive or favorable results. Some of them may be not worth investing your efforts. This factor is very important for your brand that the content you share on social media should be relevant and match with the interest of your target market. Make sure that you have included visual content in order to make it more interesting. Remember, if your content is strong and relevant, it will engage your target market. Advertising is definitely the part of your social media marketing strategy as it has specific goals to accomplish. The Success of your advertisement is dependent upon your target audience that means the people you are going to serve. Social media offer great opportunity for you to target specifically to get more improved results. It will generate leads of those people to whom you exactly want to reach. Paid campaigns running over the social media are far better option than generating organic reach. You can use incentives to attract your target market so that they can participate in the campaign and get some reward. Successful brands of today are using Facebook to promote their campaigns that gives rewards to their customers such as discounts, free vouchers, sales, contests and etc. For this reason, they are getting maximum reach. If you have made an accurate and rigorous research on your target market, then you can understand that what social media influencers your target market follow and like. You need to contact and collaborate with those influencers and as a result, you will gain trust and credibility. These influencers can perform multiple tasks for you such as they can comment, share or write post for your blog. Down the road, this practice will also be beneficial to strengthen your relationships with these social influencers. 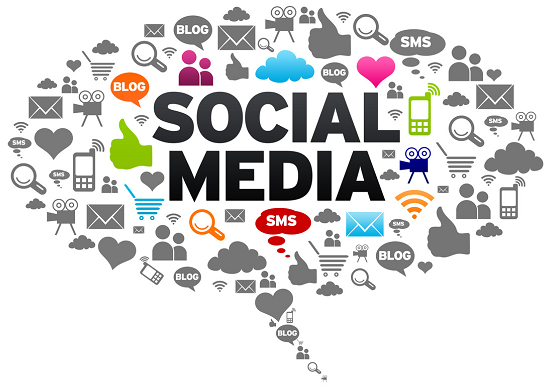 Social media is a very dynamic channel so you need to be super active while you are managing this crucial element. You need to be consistent in your social marketing and actively participate in those activities such as sharing, posting and updating. Marketing managers, who regularly follow this practice, tend to end up as industry thought leaders. Don’t assume that you know everything about Social media. Keep engage savvy social media experts to stay up to date with the upcoming trends. Don’t share any content that is irrelevant or not liked by your target market. Don’t stop; keep on updating and reviewing changes where necessary. Don’t expect everything positive or favorable from your target audience and be preparing to deal with any conflict. Finally, put your brand first in drafting any strategy because this is your brand that is going to be affected either positively or negatively. You may take help from strategist by brainstorming to avoid an unwanted outcome. Make a checklist so that you can evaluate and compare your performance and results so that you can amend in your plan.